A filibuster or freebooter, in the context of foreign policy, is someone who engages in an (at least nominally) unauthorized military expedition into a foreign country or territory to foment or support a revolution. The term is usually used to describe United States citizens who fomented insurrections in Latin America in the mid-19th century (Texas, California, Cuba, Nicaragua, Colombia), but is also applicable in the modern day. Filibuster expeditions have also occasionally been used as cover for government-approved deniable operations (see also False flag). A notable late 20th Century example of this would be the Argentinian 'scrap metal merchants' who landed on South Georgia at the outset of the Falklands War. The term was revived in the mid-19th century to describe the actions of adventurers who tried to take control of various Caribbean, Mexican, and Central-American territories by force of arms. In Sonora, there were the French Marquis Charles de Pindray and Count Gaston de Raousset-Boulbon and the Americans Joseph C. Morehead and Henry Alexander Crabb. The three most prominent filibusters of that era were Narciso López and John Quitman in Cuba and William Walker in Baja California, Sonora, and lastly Nicaragua. The term returned to American parlance to refer to López' 1851 Cuban expeditions. Several Americans were involved in freelance military schemes, including William Blount (West Florida), Augustus W. Magee (Texas), George Mathews (East Florida), George Rogers Clark (Louisiana and Mississippi), William S. Smith (Venezuela), Ira Allen (Canada), William Walker (Mexico and Nicaragua), William A. Chanler (Cuba and Venezuela) and James Long (Texas). Gregor MacGregor was a Scottish filibuster in Florida, Central and South America. It is time to define what we mean by the term 'filibustering.' [viz. :] 'Wars of conquest waged by the strong against the weak, with little or no provocation,' fulfills our idea of filibustering. Alexander the Great was a filibuster, for, without provocation or pretext of injury or offence, he conquered a large part of Asia, and part of Africa and Europe. Yet he was a benefactor of mankind, for he diffused Greek civilization—the highest form of civilization—throughout many countries, whose civilization, always very low grade, was then rapidly decaying. Julius Caesar was also a filibuster, for, for he conquered Gaul pretty much on his own hook, alleging the flimsiest pretexts for his conduct. But he civilized and Latinized Gaul, and the civilization which he planted and engrafted remains to this day.... Mohammed was a filibuster.... All savage races which cannot be domesticated and enslaved, will be gradually exterminated. Many will fall by the sword, but more by their inability to compete in the field of industry with the more laborious, provident, and skillful whites. While we lament the fate that that awaits them, we would not avert it by inflicting far greater evils on the whites."" "That which you ignorantly call 'filibusterism' is not the offspring of hasty passion or ill-regulated desire; it is the fruit of the sure, unerring instincts which act in accordance with laws as old as creation. They are but drivellers [i.e., fools] who speak of fixed relations between the pure white American race, as it exists in the United States, and the mixed Hispano-Indian race, as it exists in Mexico and Central America, without employment of force. The history of the world presents no such utopian vision as that of an inferior race yielding meekly and peacefully to the controlling influence of a superior people." In the 1850s, William Walker attempted a filibustering campaign with a strategy involving his leading a private mercenary army. In 1853, he successfully established a short lived republic in the Mexican states of Sonora and Baja California. Later, when a path through Lake Nicaragua was being considered as the possible site of a canal through Central America, he was hired as a mercenary by one of the factions in a civil war in Nicaragua. In 1856 he declared himself commander of the country's army and soon after President of the Republic. After attempting to take control of the rest of Central America and receiving no support from the U.S. government, he was defeated by the four other Central American nations he tried to invade and eventually executed by the local Honduran authorities he tried to overthrow. Many Confederate Army officers and soldiers such as Chatham Roberdeau Wheat of the Louisiana Tigers obtained valuable military experience from filibuster expeditions. The author Horace Bell served as a major with Walker in Nicaragua in 1856. 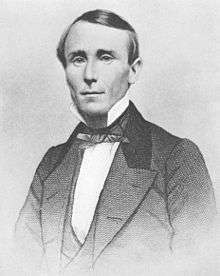 The notorious Col. Parker H. French served as Minister of Hacienda and was appointed as Minister Plenipotentiary to Washington in 1855. As part of a proposed 1962 CIA Operation Northwoods to discredit the Fidel Castro regime and provide justification for overt US military operations against Cuba, one of the suggestions was to simulate a Cuban-based, Castro-supported filibuster against a neighboring Caribbean nation. In the 19th Century Philippines, the Spanish filibustero gained connotations significantly different from those of the English derivative. The title of the highly influential novel El Filibusterismo by Philippine national hero José Rizal could literally be translated as "Filibustering", but could also mean "Subversion". ↑ Oxford English Dictionary, "freebooter". Retrieved 2012-10-26. ↑ Oxford English Dictionary, "filibuster". Retrieved 2012-10-26. ↑ As cited in Schreckengost, 10-11. ↑ William Walker, "General Walker's Policy in Central America," De Bow's Review, August 1860. May, Robert E. "Manifest Destiny's Filibusters" in Sam W. Haynes and Christopher Morris, eds. Manifest Destiny and Empire: American Antebellum Expansionism. College Station, Texas: Texas A&M University Press, 1997. ISBN 0-89096-756-3. May, Robert E. Manifest Destiny's Underworld: Filibustering in Antebellum America. University of North Carolina Press, 2002. ISBN 0-8078-2703-7. Schreckengost, Gary. The First Louisiana Special Battalion: Wheat's Tigers in the Civil War. Jefferson, N.C.: McFarland and Company, Inc., Publishers, 2008. ISBN 978-0-7864-3202-8.
the memory palace podcast episode about filibuster, William Walker. "Filibuster". Collier's New Encyclopedia. 1921.